“There has been a huge growth in UK cycling over the last few years, and cycling is no less prolific in the south than it is in the north, but apart from certain pockets the north has more racing. That’s why we as British Cycling are pushing this event,” Jonny Clay explains. 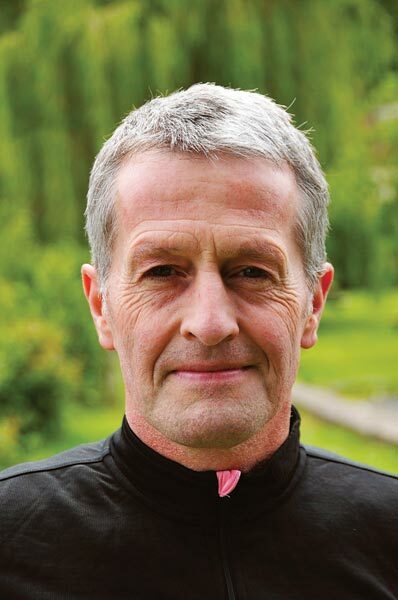 Clay is the man who oversees the sport side of cycling, which includes developing road racing from grass roots to Premier Calendar level. Balancing the needs of road users at a time of an unprecedented growth in motor traffic makes for a difficult task, but Clay and his staff are steadily steering a course through the legislation and vested interests, and it promises to reach a satisfactory conclusion for everyone everywhere. “It’s a bit out of the ordinary for us to get involved with the Twinings promotion to the extent we have, but we saw a geographical need, so we want to push this one through a bit,” he says. The Twinings Pro-Am Tour will take place on the weekend of August 27 and 28. 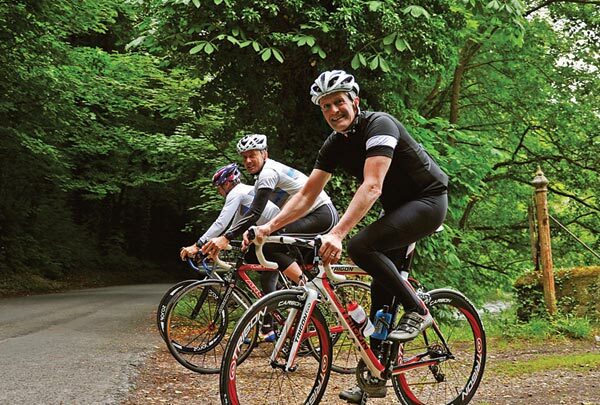 It consists of family adventure rides on Saturday, with a sportive of 60 and 100 miles on the same day. The 100-mile sportive is also the qualifier for an interesting race the next day. 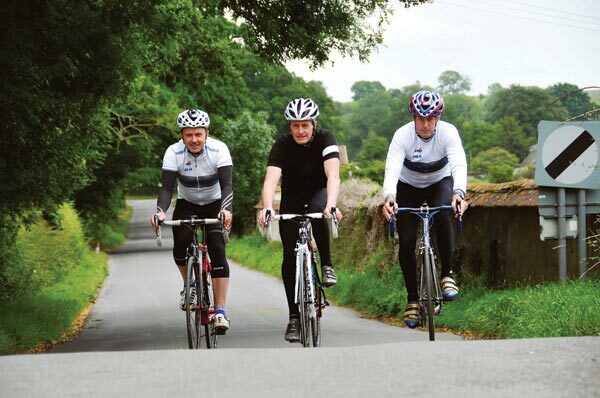 Any team of four that betters 15 miles per hour average in the 100-mile sportive can race in the Corporate Challenge. This will be a team time trial and it’s the curtain raiser for Sunday’s Premier Calendar race, which starts and finishes in the centre of Salisbury. “The whole event is sponsored by the Twinings tea company, and with considerable help from Salisbury and Wiltshire local authorities. Twinings are a local company, based in Andover and there’s a tea stop at their headquarters for all sportive riders. They’ve committed for three years, and the aim is to build over that time. We’ve rushed it a bit to make it happen in 2011, but we feel it’s crucial to start now,” Clay tells me while getting his bike ready in Salisbury’s sports centre car park. Former pro Harry Lodge, who lives near Andover, and another local and very experienced racer, Andy Cook, will join Clay for today’s look at part of the sportive route. They are working as consultants on the Twinings project, and being local they’ve helped steer the project along with the speed required to deliver a top-class promotion in a short space of time. “Eventually we want locals to become engaged by the event so British Cycling can step back. The usual way is for individual organisers to deliver events according to a set template and standards. It’s not our remit, but in this case we felt we had to act to secure what could become an iconic event in an iconic place,” Clay says. He’s not wrong. Details are still being worked out but the race should start and finish right in the centre of Salisbury, and it’s hoped that the Premier Calendar race will pass through it on each lap. Originally the race and sportive were to share some roads, but the race circuit has had to shift slightly. It’s been a while since Clay did any cycling, but it doesn’t show as the trio thread their way north out of Salisbury and up the Avon Valley. Clay says: “I’ve missed riding and I’m hoping to do more now my kids are getting older.” Which quickly becomes, “I’ve got to do more of this,” as he gets into his stride, enjoying the countryside and the nifty looking Trigon bike he’s borrowed from old friend and fellow pro Chris Walker, who imports the brand. Wiltshire is as good as any place to start cycling. After a leafy-laned amble by the crystal waters of the lower Avon, the trio reach a road that locals Cook and Lodge agree is one of the nicest they have ever ridden. “The Avon north of Durrington is one of my favourite roads anywhere,” Cook points out before they leave the river and climb up onto Haxton Down, on the spectacular wide-open Salisbury Plain itself. A couple of A roads take them to Tidworth before heading south-west back into the Avon Valley. From there they climb Camp Down, a hill everyone on the ride hoped would be the crucial point of the Premier Calendar race, but just before writing this piece British Cycling, while still hoping they might get it in future, told us they couldn’t include it this year. “It’s ideal for spectators because of the embankments on either side, and you can see all the way down the climb from the top,” Lodge points out at the summit. Clay is a man with a broad view of the whole spectrum of UK road racing so it’s good to hear his take on the sport’s future. “We were losing races a few years ago because of the realities of risk management. In many cases it was where, under the existing legislation, the police were being asked to say yes to something they hadn’t planned. So, a few forces took the step of stopping events, and others placed restrictions that the volunteers organising them found they couldn’t adhere to,” he says. It sounds grim, but there’s also cause for hope, as Clay explains: “Appointing Inspector Bob Brayshaw as police liaison officer for cycling is a big one. Another is the appointment of nine regional events officers, who have put on new races and saved old ones. “Then we’ve got three things being worked on now. First are amendments to the 1960 Highways Act, which governs racing on the open road. Next is a trained marshal scheme, where marshals can stop and slow traffic. The pilot schemes in Essex and Wales worked. Head north out of Salisbury on the A345. Turn left towards Old Sarum and head north on the unclassified road next to the River Avon. Climb up to Amesbury Down, go through Amesbury and rejoin the Avon coming out of Bulford. Turn right at Haxton and climb up to Haxton Down. Turn right on the A342 at Everleigh and right on the A338 to Tidworth. Turn right to Bulford Camp; watch for tanks crossing on this bit. Continue to the A345 where turn left. Turn right after crossing the A303 roundabout, pick up Avon again, ride along its west bank until signpost to Wilton. Turn right to climb Camp Down then left on the A360 to return to Salisbury.